With an aim to take on the Apple iPad Pro and Samsung Galaxy Tab S4, Microsoft on Saturday brought its smallest and affordable Surface Go device to India, starting at a price of Rs 38,599. Weighing at just 1.15 pounds and 8.3 mm thin, the 10-inch, two-in-one device is now available for pre-order with Flipkart, the company said in a statement. The Surface Go with 4GB RAM and 64GB internal storage will cost Rs 38,599 while the 8GB RAM and 128GB variant can be purchased for Rs 50,999. 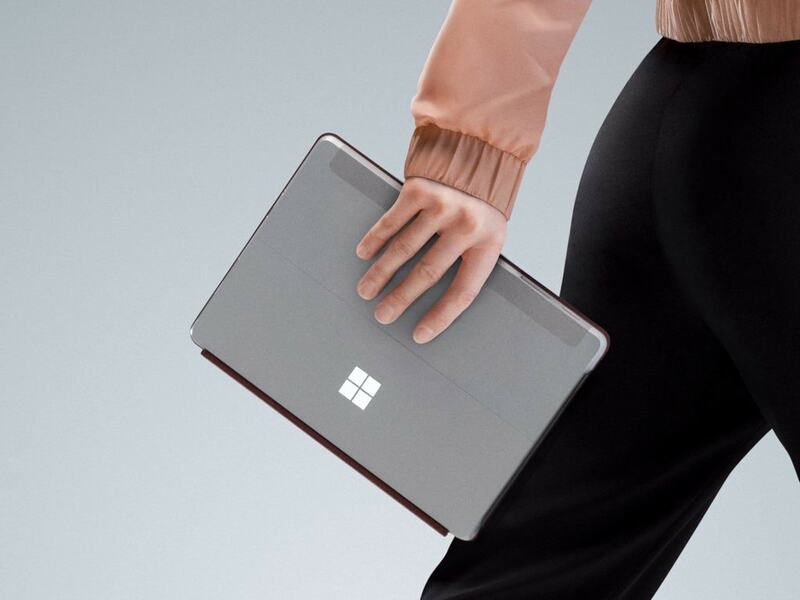 The Surface Go type cover (black) will cost an additional Rs 8,699 and the signature type cover (colour) will cost Rs 11,799. The 2-in-1 device comes with the Surface Pen -- with 4,096 levels of pressure sensitivity and a 3:2 high-resolution "PixelSense" custom calibrated display designed to render the pages of most school textbooks. For users who require connectivity via video calls, the Surface Go features a 5-MP HD camera and rear auto-focus 8MP HD camera, along with dual microphones. "Commercial customers can opt for Windows 10 Pro which brings essential business security features to protect devices and infrastructure from modern threats," said Microsoft.